Hey good looking, yep, I'm talking to You! Do you realize how unique you are? You are truly one of a kind! Out of the 5-6 billion people on our planet, no one else is exactly like you. That makes you an original! And you need to be reminded of that fact...often! I don't care if you're 14, 40 or 84....as humans (and especially as women) we all need to be reminded that in a world full of talented, beautiful people...we are valued! 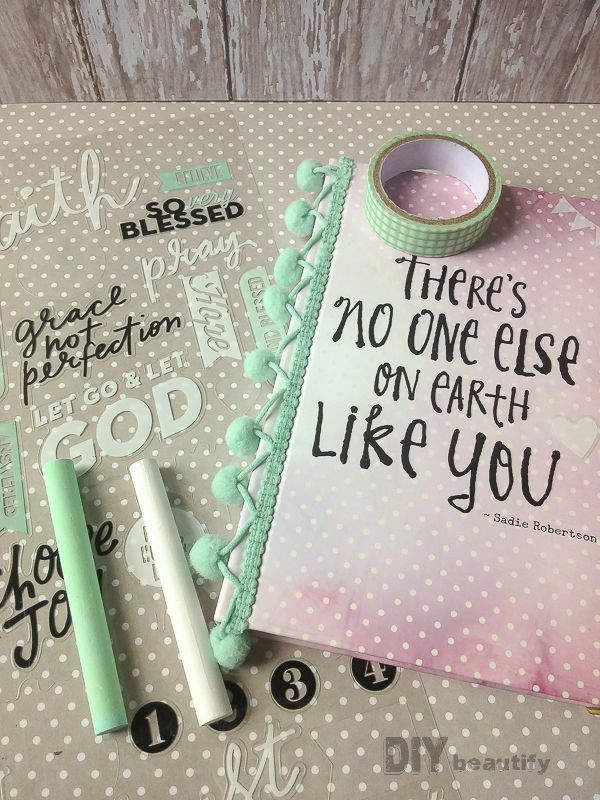 I found this cute notebook at Hobby Lobby, it's part of the new Live Original line by Sadie Robertson and DaySpring, and used a few craft supplies to decorate it and divide it into sections with homemade tab dividers as a fun gift for my teenage niece. 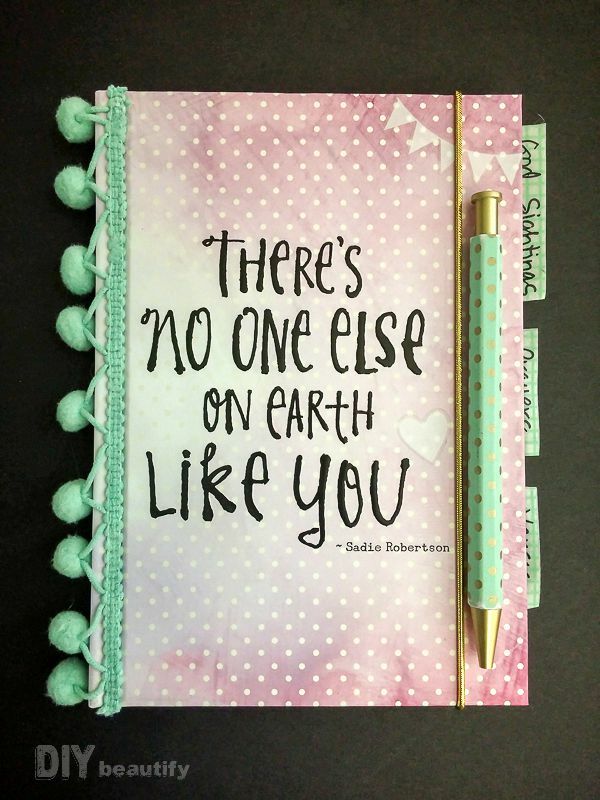 Not only is the Live Original line super cute, the products are filled with positive and uplifting messages. 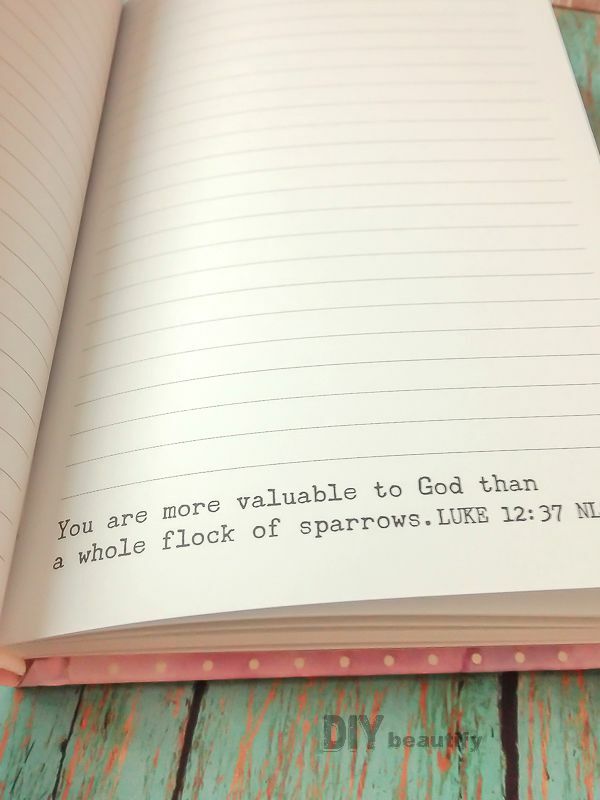 There's a verse on every single page...a reminder about God's promises, our identity in Him, how much He loves us. I grabbed some craft supplies and added my own decorative touch. 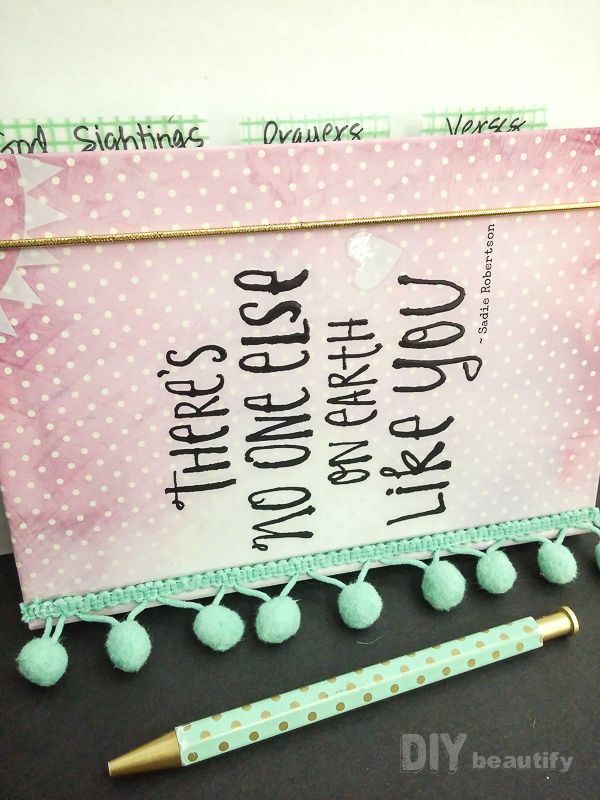 I thought this mini pom pom trim along the edge made it extra cute and I found some clear faith-themed stickers that worked perfectly. My niece has a strong faith...she's also heading into high school soon and I know God will help her to navigate the ups and downs of life. 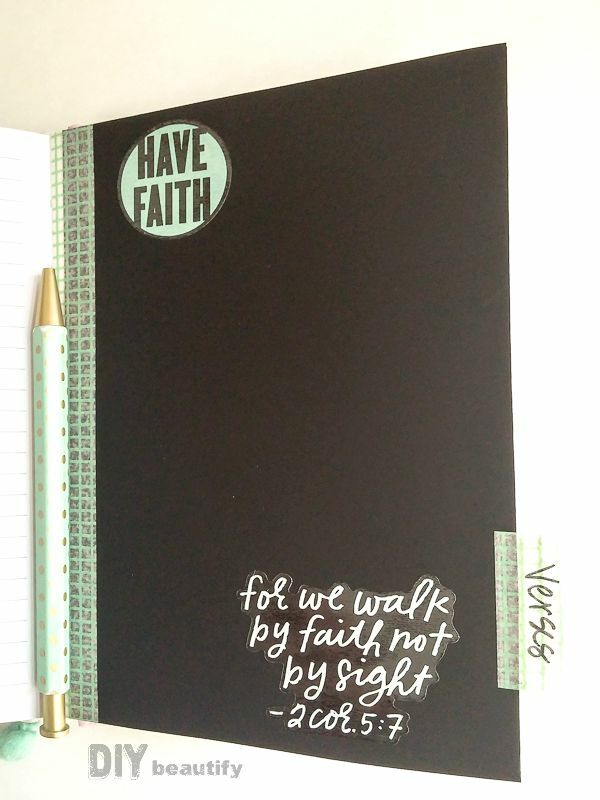 In thinking through how she might use this notebook, I decided to divide it into three tabbed sections...God Sightings, Prayers and Verses. The tabs are coordinating washi tape that I wrote on with a Sharpie. God sightings are ways you see God in the minutiae of everyday life...remembering that He created You! You are the most unique, adorable, creative You in the entire world, and you were made with a special purpose in mind...See It! Inside, on the divided pages, I used the washi tape again to secure chalkboard paper that I cut to size and glued on. 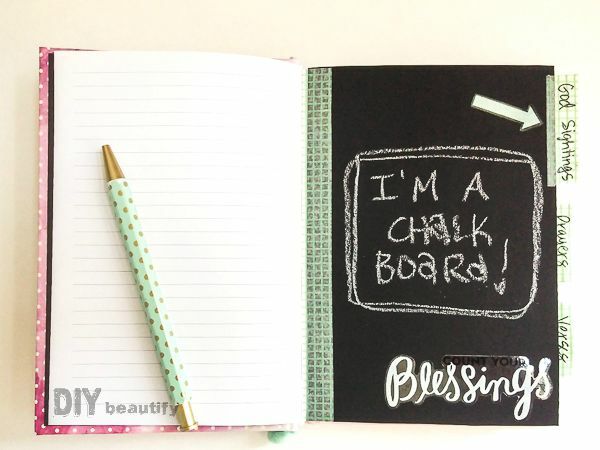 The chalkboard paper dividers are a fun place to write something down...and then erase it and start over! Who wouldn't have fun with that? 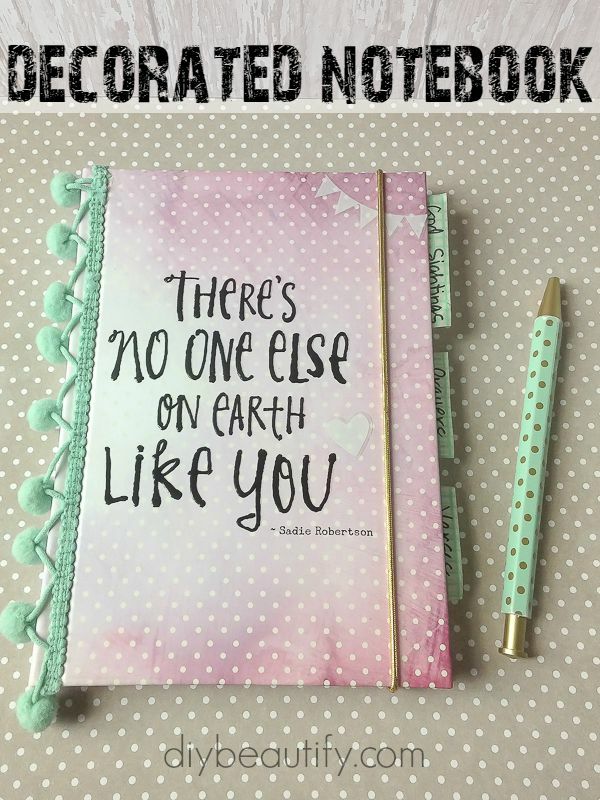 This notebook is a place for her to record her thoughts, dreams, and desires...and to see the bigger picture! A gentle reminder that life is more than just boys and braces and friends and activities! I know how easy it is to get wrapped up in life and all our problems...and miss the blessings! I hope my niece will be encouraged every time she writes in this decorated notebook. Maybe there's a teenager in your life who would love a gift like this (my 10-year old daughter has already asked me to make her one!). 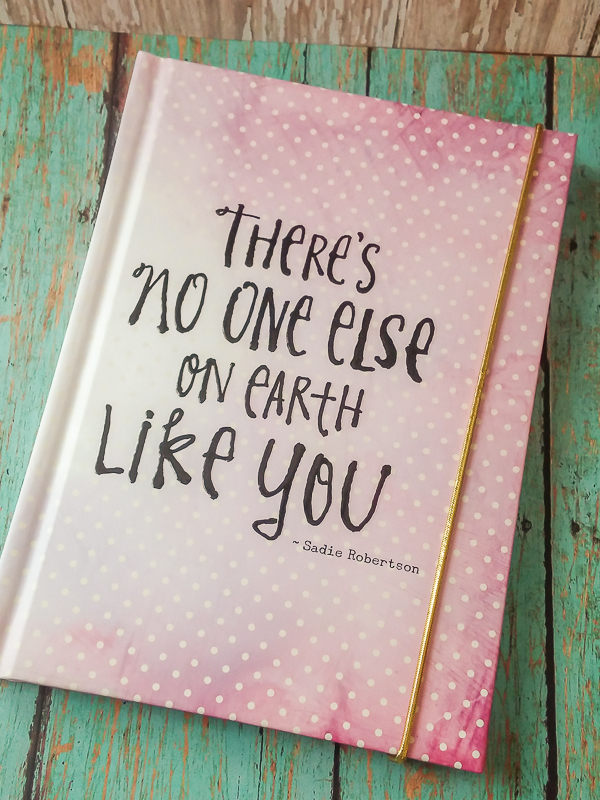 If you want to see all the products in the Live Original line by Sadie Robertson you can click here. Love it... now to didg up some old notebook to transform! Thanks Ann for your sweet words! I like the idea of being able to go back and read the cool things that God's done...it can certainly help when you're going through a rough patch!